I’ve spent so much time in space destroying things, from aliens to spaceships (often containing aliens), that I forget to spare a thought for the men and women who are just in space to do a hards day work that doesn’t involve death and destruction. Space Engineers is all about those diligent souls, specifically those performing the difficult task of building spaceships and orbital structures. And it sounds marvellous. 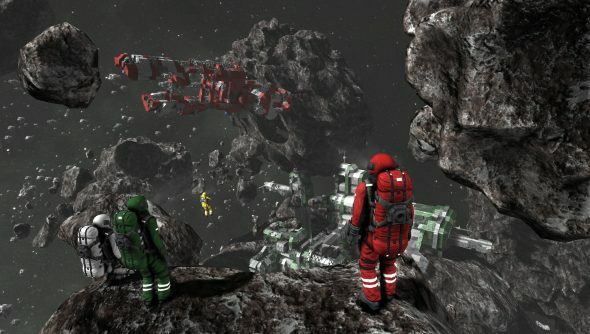 If you need a slice of shooting and spaceship destruction in your building sims, then Space Engineers has you covered as well. Still in alpha, it just launched on Steam Early Access, and you can pick it up now for £11.99.